Isa Chandra Moskowitz and Terry Hope Romero are urban vegan chefs and authors of several award-winning cookbooks. Romero lives in Queens, New York, and Moskowitz lives in Portland, Oregon. I love Isa Chandra Moskowitz and Terry Hope Romero, I think they’re wonderfully creative and imaginative cooks. I own all of their books, and most of those books I use regularly, but I have to say Veganomicon is not one that I use often. Simply put I don’t love it, and it’s not because the recipes aren’t good - virtually all of the ones I’ve made so far have been stellar - my biggest complaint is the layout. I hate it, The pages of this book are busy to the point of overflowing with ingredients, instructions and tips. Don’t get me wrong I have no qualm with long ingredient lists, and I love the helpful tips but each page has at least 2 recipes on it. I hate the way the recipes are split over more then one page as this can make it difficult when actually trying to follow the recipe in the kitchen. It may seem silly, but this really is the sole reason that I rarely use the book. If it had a better layout I’d probably use it a lot more. Other negative points that some people may be interested in are there is a real lack of photos in the book - just a color photo insert in the center - and there is no nutritional information listed for the recipes. Also some of the recipes seem needlessly long or overly complicated with several time consuming steps. Having said that there are a lot of positives about the book as well. For one it’s a tome, massive, and filled to the brim with tasty recipes for appetizers, soups, salads, dressings, sauces, proteins, one-pot meals, casseroles, grains, vegetable side dishes, and desserts. There’s also a large section in the front of the book that details basic cooking techniques, how to fill your vegan pantry, what utensils and cooking equipment is best and general tips on prepping and cooking various vegetables, grains etc... As I said early most recipes also include an additional hint about an ingredient, a cooking method, or what else can be done with the finished product. I got my copy of Veganomicon in 2010 when I was relatively new to veganism and I did find much of this information very helpful. Moskowitz and Romero also make cooking seem effortless, they have a really easy-going down to earth writing style that I appreciate, and I love their sense of humor. I also really appriciate their emphasis on whole foods rather then processed foods. 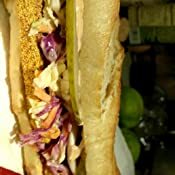 They include a few recipes for making your own seitan, tofu mayo, and other vegan staples. Spicy Tempeh Nori Rolls - Loved it! 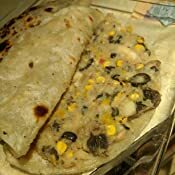 Grilled Yuca Tortillas - Loved it! Mediterranean-Style Cashew-Cucumber Dip - Loved it, this is seriously the best Tzatziki dip I’ve had vegan or otherwise. A definite Go-To recipe for me. Creamy Asian Pear and Tempeh Salad with Wasabi Dressing - Hated it! Totally inedible. Broccoli Polenta - Just okay. Fudgy Wudgy Blueberry Brownies - AMAZING! Overall the recipes have been really great, and if the book had a better layout I’d probably be more inclined to use it more frequently. As is this probably wouldn’t be the first book I’d recommend to a newbie vegan, but I think a lot of seasoned vegans would really enjoy this book, especially for it’s creativity - provided of course they don’t hate the layout as much as I do. 5.0 out of 5 starsThis book was a game changer for our vegan conversion! I love this book! My girlfriend and I officially started the wonderful journey of becoming vegan in December 2013. We both had a moderate interest in cooking, but when it came to purely plant based diets, we were complete noobs. We were clueless and hungry, but all we knew was that we no longer wanted to have anything to do with the commoditization and consumption of animals. We bought a cheap 2 dollar recipe book, but we wanted more! Where were we to start looking for a real quality vegan cook book? Why, the same place I look for anything these days, Amazon! I looked at many different cookbooks, but this one seemed to be one of the highly rated/recommended of the bunch. And when I saw that it had a great recipe for black bean burgers I couldn't refuse. We've been using this book constantly ever since. Our copy certainly has gotten it's fair share of pasta sauce splattered on it from the many times we've made spaghetti and bean balls. This book is great both for beginners and seasoned vegan chefs alike. Most everything in this book can be made with simple ingredients you can find probably already sitting in your kitchen, not too many expensive specialty ingredients are needed... unless you count beans as a specialty ingredient (I swear, I eat other foods besides beans!) 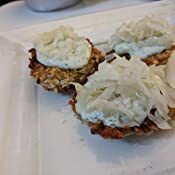 and a great deal of the recipes seem to be "accidentally" vegan, that is to say, your average omnivore would scarf down a few plates without even thinking about where he is going to get his precious protein from! 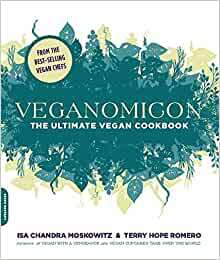 All in all, this is a great book for any compassionate consumer, with plenty of recipes to keep us vegans plump and happy for many years to come! This cookbook is phenomenal. I've tried being vegan before and found myself subsisting on a lot of grilled vegetables. 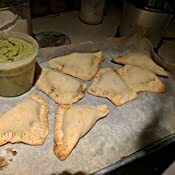 I didn't really understand how to adopt the new cooking methods and flavor profiles I would need to making eating vegan interesting and enjoyable. I reverted back to vegetarianism. This time, a visit to The Gentle Barn (Google it. It's amazing.) strengthened my resolve. This book us by far my favorite resource. It covers basic cooking techniques all the way through show-stopping recipes you can use to dazzle non vegans too. It's written it a funny and cool voice do it's also enjoyable to just read through when you're not looking for a specific recipe just to get ideas. I can't say enough good things about it. 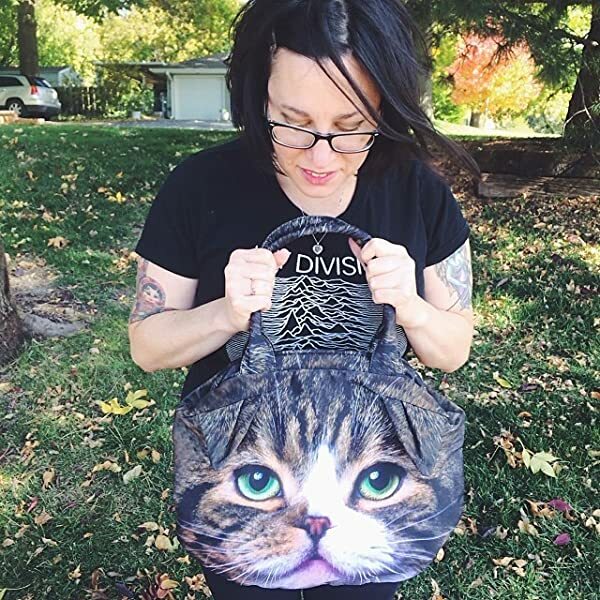 So I love post-punk and I love veganism so of course I picked this baby up! This book is a game-changer! The quality of the content inside is impeccable and it is such a nice easy read. 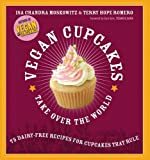 Isa and Terry do a wonderful job at making these vegan recipes easy for anyone to make. Most of the ingredients are cheap and easy to find in most grocery stores. I really recommend this for new vegans! I just tried the Snoppy Joes and they tasted like a fancy traditional Sloppy Joe. And the cool thing is the main ingredient is lentils and barely making a dent into the lentil bag made 6-8 sandwhiches (way cheaper than ground beef). If you absolutely love to eat and love variety of delicious plant-based foods, then this is the cookbook for you. This has become a go-to cookbook for me. For health reasons, my hubby and I went on a plant-based diet. (BTW: It worked.) I love to eat a variety of delicious food. Beans and rice and salad could only keep me satisfied for a short while. I haven't tried anything in this cookbook yet that we haven't liked or loved. The baked tofu recipe, with a few alterations has become a mainstay when we have company. Even omnis like it. I crave gyros! The recipe for Mediterranean - Style Cashew - Cucumber Dip is forever in my fridge now. I season unripe jackfruit from the Oriental market to make a mock gyro filling, put it in a pita and smother it with the cucumber sauce. I could eat these every day. I could go on and on. I enjoy this book so much I even told the author. I have never done that before.